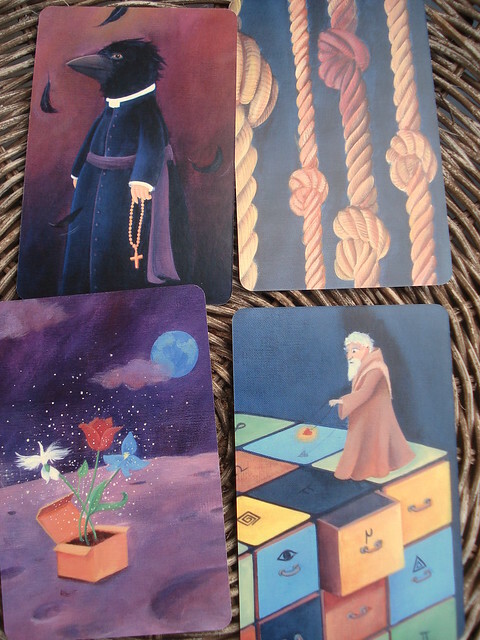 Dixit 2 is a bit of a misnomer. The Dixit part is perfectly true, there is nothing about it that is not Dixit. It’s the 2 that is misleading, making you expect a completely new game, independent of the original Dixit – it’s an expansion of the original. And it’s an expansion in the most minimal way. There is no new game board to put next to the old one, no black bunnymeeple, no event cards that do odd things to the game and no 11-sided dice to roll. There is no new rules. 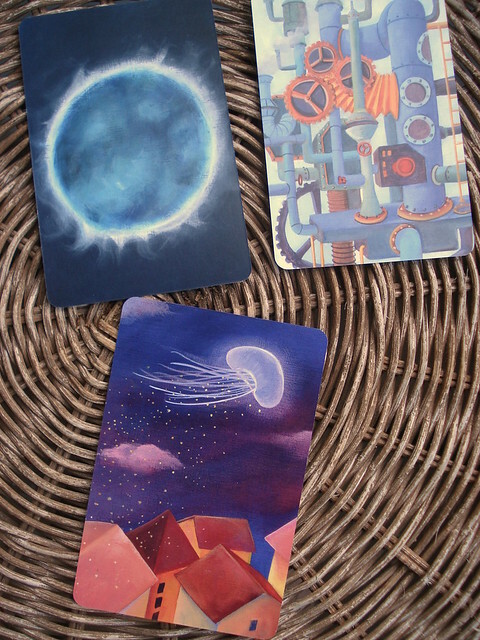 All that Dixit 2 does is give you more of Dixit, not messing with the system at all. 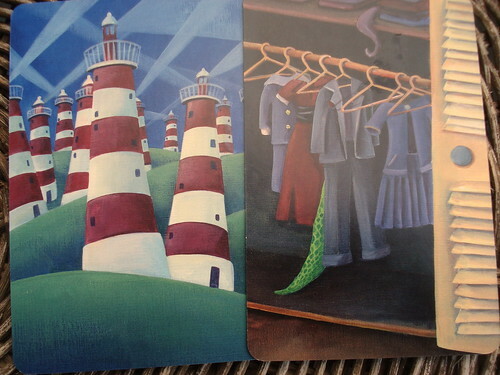 And in a game like Dixit, what more could you ask for? 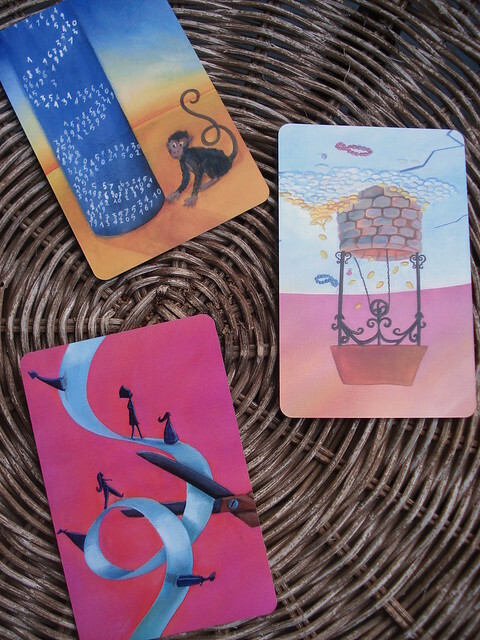 Any element you might add would risk destroying the simple beauty that is Dixit. If you have never heard of Dixit, just go ahead and skim our review of the basic game. Dixit 2 comes in a card game sized box and contains 84 new cards, still oversized for the average adult hand and still illustrated by the amazing Marie Cardouat. All the cards are fresh and original, none of them seem like variations on the old cards – and they are just as varied, just as creative and just as beautiful as the original cards. Dixit 2 does exactly what you would want from any good expansion: it extends the lifetime of the game. After you played Dixit so often with the same people that none of you can come up with original descriptions any more, you can now play again with all new cards. If you got bored with Dixit itself, then Dixit 2 is not going to change anything for you. 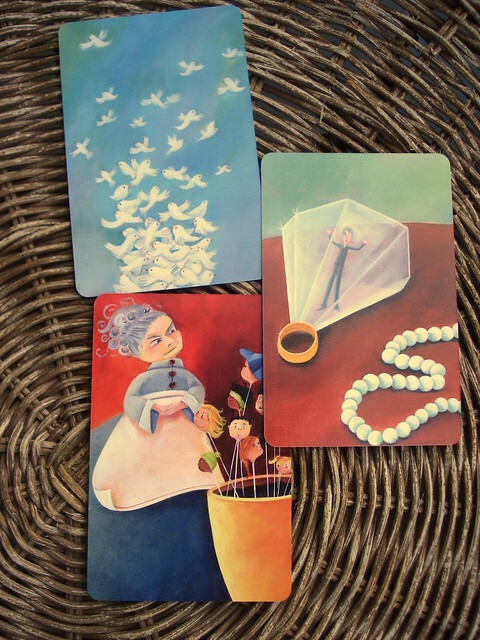 If you just wanted new pictures to mysteriously hint at to your friends, Dixit 2 is a must. Since nothing changed about the game, don’t bother comparing the scores, they are the same as for Dixit. And since this review is disappointingly short – busy week here at the meople cave – I’ll give you some peeks at the fantastic art. Deal?